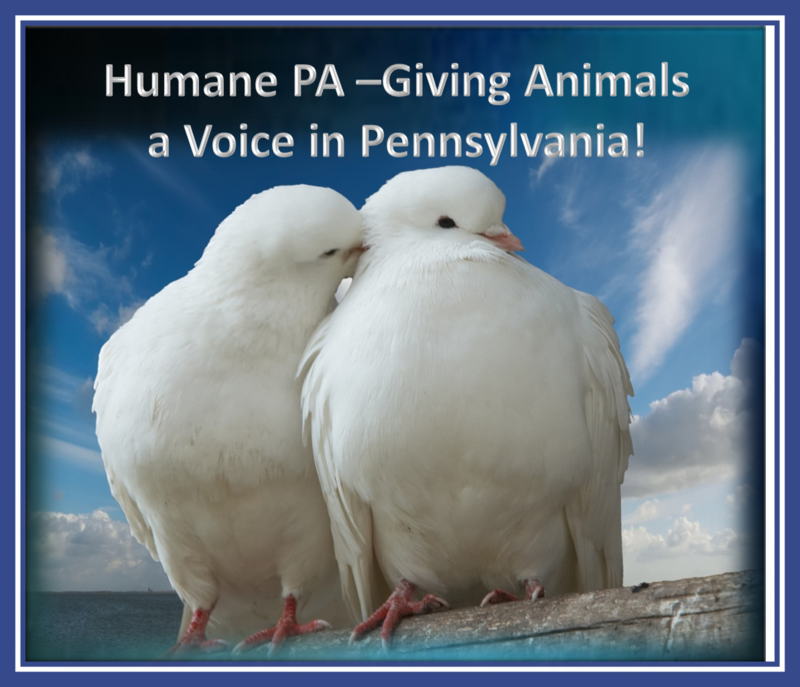 Seven years ago, Humane PA was created from a clear vision and conviction of co-founders Heidi Prescott and former Senator Roy Afflerbach that people who care about animals could – and must – become a powerful political voice, if we want permanent changes for animals in Pennsylvania. Humane PA, then known as Humane USA PA PAC, was launched via a fundraiser on a riverboat in Harrisburg attended by dozens of people, and the energy, political expertise, Harrisburg experience, and unfettered belief in the importance of the endeavor of Heidi and Roy. Their tireless efforts, commitment to the vision of creating a powerful political force, unwillingness to give up in legislative efforts concerning animal cruelty, and investment of countless hours have seen Humane PA grow from a fledgling dream to a noted statewide presence, with tens of thousands of Pennsylvania voters becoming involved in the legislative process, following the voting records of legislators and demanding explanations when humane legislation stalls or fails. Beyond the involvement in legislation, the number of advocates who now recognize the importance of getting involved in electing humane legislators has also grown as advocates recognize they have the power to seat and unseat legislators, especially in close races. “I can trace the formation of Humane PA back to witnessing numerous barbaric pigeon shoots and one wounded pigeon who died in my hands after being left on a field to suffer all night. After making a vow to stop such a pitiless and senseless act of cruelty, I joined lobbying efforts to end them back in 1993. Many legislators saw the shoots the way we do – senseless cruelty, but every time we got close to a vote or an attempt to amend it, I would watch the extremist lobbyist flip legislators who had committed to support our efforts to no votes. With a practice so morally reprehensible, it was an eye-opening shock to see otherwise decent legislators fold in the face of threats. I knew we had far more people who care about animals and the treatment of them in Pennsylvania, and we could eventually become a far more powerful force, than those who want to keep animal abuse legal. We have grown so much and everyday someone new gets involved. Social media has given us the ability to reach voters in PA who care about animals, a tool that we have effectively utilized to build a powerhouse of people who care and who are willing to cast their vote for animals. July 9 is Heidi’s birthday – and I will be making a donation to Humane PA in her honor. Without hesitation, I can say that Heidi is my inspiration. I am extremely grateful to her not only for all she has accomplished to date and continues to strive for, but also for helping me to become a better advocate for animals. I know how much the animals of Pennsylvania have gained and the inroads we have made in the legislature due to Heidi’s efforts. I ask you to join me in honoring Heidi by making a special donation to Humane PA in celebration of her birthday. Elissa B. Katz is the President of Humane PA and a partner in the law firm of Meranze, Katz, Gaudioso & Newlin, P.C. in Philadelphia. She is a regular volunteer with the Philadelphia Animal Welfare Society (PAWS), assisting with cat care and adoption applications at an adoption site. She is also a board member of The Humane League.